When the supreme court ruled that women of menstruating age cannot be prevented from going to the Ayyappa shrine in Sabarimala, political parties in Kerala hailed it as a historic victory for gender equality. But now the streets of Kerala are full of men and women protesting against the court order and backing priests and the erstwhile Pandalam royals who brook no change to temple customs. According to legend, Lord Ayyappa was the adoptive son of the king of Pandalam, but renounced the throne and stationed himself atop a hill and came to be worshipped as a god. Since he was a sworn celibate, women of reproductive age are traditionally barred from the temple. It’s a centuries’ old custom. But matters of belief and custom don’t square up against the yardstick of logic. While women of reproductive age are not allowed in the temple during the festive months, or Mandalam, and when the temple opens for the Vishu harvest festival, they may enter during the other months for certain ceremonies and darshan. The court latched on this to say that if women can worship during certain months, there’s no reason they should not during certain other months. Now, parties like the BJP are seeking to tap into the anger of thousands of the faithful who are voicing their protest against the judgment. They are vowing to restore the status quo. Shobha Surendran, a BJP worker, says, “Will they question rituals in other temples in Kerala too and ask for uniformity everywhere?” Another BJP member wonders if rationalists and non-temple-goers would next demand that all temples be shut down as religion and faith is not supported by evidence or reason. The Congress, too, after welcoming the judgement, has been outdoing the BJP and the RSS in criticising the judgment and has embraced the cause of preserving the traditions of the ancient temple. Kerala Congress president Ramesh Chennithala has been asking for a review petition. Congress leaders point out how the LDF government brought in an ordinance when the supreme court ordered the closure of bars. But when it came to sentiments of people and their beliefs, the Left government wants to do nothing, say Congress leaders. The Communist-led LDF government of Kerala had always supported entry of women. The case filed in court by an independent body from outside Kerala was opposed by an affidavit filed by the Kerala government when the Congress was in power. When the CPM came to power, it changed the affidavit and supported entry of women. 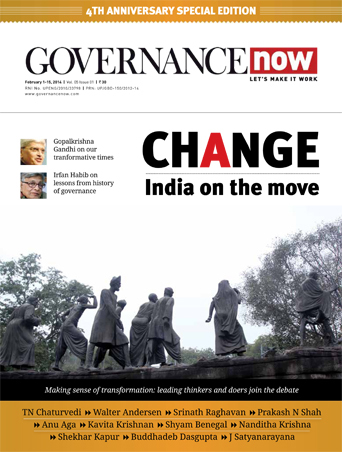 Now that the court has upheld entry of women, the Left government wants to stick to its stand. It has maintained that it would now implement the judgment when the temple opens in November for the festival season that lasts till January. Vijayan had earlier openly chided the government appointed Devaswom board president Padmakumar for seeming to oppose the judgment. Padmakumar had appeared to be confused after the judgment and had said that while the government is duty bound to implement it, no woman from his family plans to go to the temple and violate ancient customs. Apart from the fact that political parties are happily fishing in troubled waters in the state, the judgment has opened the doors to many questions and has pitched reason against faith. The first question being asked is whether a court can impose its will on matters of faith. People are feeling let down by political parties for failing to put all the required information about the shrine before the court. 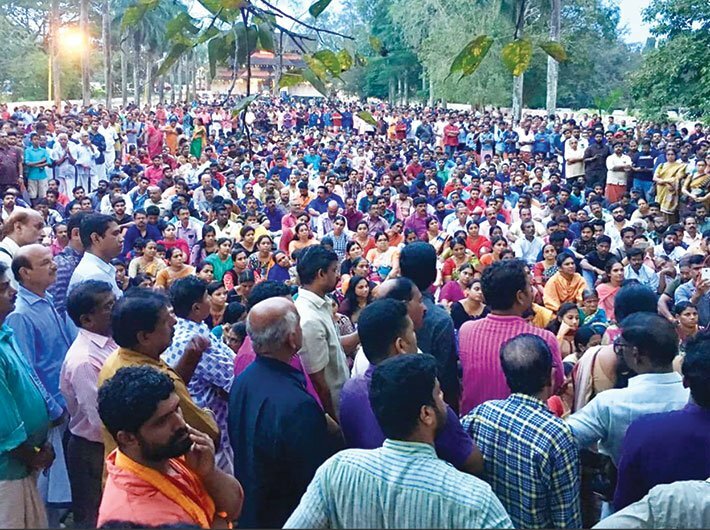 Exclusion of women from the shrine is customary for that shrine, while women are allowed to worship in all other Ayyappa shrines in the state. Hence, people do not see this exclusion as indicative of inequality but as a temple ritual that should not be disturbed. The BJP and Congress have been blaming the Left Front government for failing to put these facts before the court. The CPM’s response is understandable: “We were always for entry of women. Why did the BJP, RSS or Congress not furnish enough details to help the court understand their point of view? We did not stop anyone,” says a CPM leader. The legend goes that Lord Ayyappa was born of the union of the powers of Lord Shiva and Lord Vishnu to get rid of a demon. The baby was found in the forest by the king of Pandalam and he brought him up as his son. Later, the prince renounced everything and went to the forests to do penance. Another legend goes that Malikapurathamma, a beautiful woman, loved him dearly and wanted to marry him. Ayyappa, who did not want to disappoint her, promised to marry her when his devotees stop coming to see him. Since that was not going to happen ever, the deity was to remain a celibate forever and Malikapurathamma, whose shrine is nearby, has to wait eternally. This story is stated to be one of the reasons why women do not go to this temple during menstruating age. The pilgrims who go during the three-month pilgrimage season starting from November and ending in January fast for 40 days, eating only after taking a bath, wearing black clothes, and beads. People who cook for them are also expected to follow very strict rules of cleanliness. Women who are menstruating do not cook for the pilgrims. Later, after a small ceremony, the pilgrim leaves with other pilgrims with a sackful of offerings tied to his head. He visits shrines on the way and then proceeds to climb the 40 km high stretch of the hill till he reaches the shrine. However, Kumar has no answer to the question that the board was an appendage of the reigning government and hence its lawyer will also speak for the government. But neither BJP nor Congress bothered to support the traditionalist views in court when the leftist government changed the affidavit. Kumar says they will definitely support the review petition in court though it does not want to initiate it. 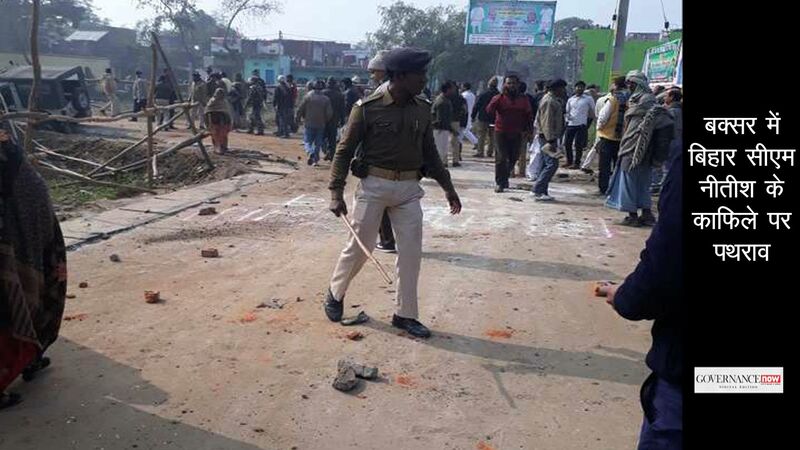 Aside of the power games being played by parties over the issue, devotees have taken to the streets, while rationalists and mostly non-temple-going elite are justifying the judgment. Malayalam writer NS Madhavan has in an essay pointed out that the tradition is not so ancient. He recalls that in the 1930s, the Travancore queen had visited the temple, a statement that has been slammed on Twitter by those who point out that the queen was quite old then. Former advisor to the prime minister, TKA Nair, has pointed out that he visited the temple in 1940 as an infant and was fed rice for the first time as he sat on the lap of his very young mother. Rationalists look at the judgment in another way. Sunil P Elayidam, a Sahitya Akademi award winning writer and rationalist, speaking at a public function recently said that traditions take on a different meaning once we go into their origins. “What is considered a Hindu tradition has exchanged hands from various traditions like folklore, Buddhism, Shaivism and Vaishnavism. How can you call anything as my tradition or a Hindu tradition?” he asks. The Sabarimala temple has had a Buddhist influence preceded by Shaivaite and Vaishnavite faiths. Hence to call it a Hindu tradition is itself wrong, he says, suggesting that the temple was probably a Buddhist shrine. He also suggests that the belief has origins in the local folk hero Ayyan and traditions should be seen in such a broader perspective to prevent unnecessary anger and feelings of betrayal. Many beliefs and traditions have come from distant lands and their origins have been forgotten. For instance the tiny clay pyramids made to welcome Mahabali during Onam celebration had their origins in ancient Assyria, says Elayidam. “The legendary king Mahabali who Malayalis are so proud of might have been a very old ancestor of Saddam Hussein and his countrymen,” he says in a light vein. Most temples follow different rituals. Will courts now target them too? Sabari Ashramam state convenor Shailaja Bibi says she is ready to die to prevent traditions from being changed. “There is great power in the shrine and you cannot fool around with its rituals.” She echoes the sentiment of many devotees today who feel disturbed by what they see as denial of their right to worship in the way the deity wants them to.